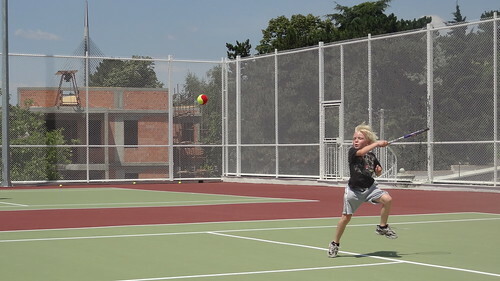 We are loving the newly finished tennis courts at the school. Last month the courts were completed on the roof of the gymnasium and they are absolutely spectacular. The best thing about the courts is they are free to use, which is rare in Belgrade. 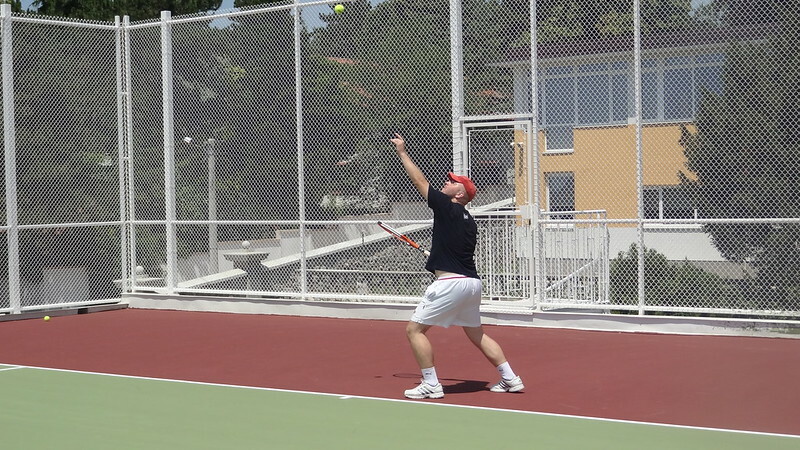 All tennis courts in the city are privately owned and have rental fees ranging from 6 to 12 euros an hour, depending on quality and time of day. That is if you can find an available time. With Novak Djokovic and the other Serbian professionals in the Top 20 of world tennis, the game has become very popular in Serbia. It is a shame that the city does not build public courts for citizens to use. Tennis is expensive as it is with equipment, coaching, etc. and to not have access to free courts, Serbia is not fully developing its potential. If I was mayor, I would start putting some courts in. Most of the courts in the city are clay and the school’s court is a hard court surface. They are perched on the roof, overlooking the valley towards Košutnjak Park and the view is breathtaking. They also have lights so we have been playing every night. I need to get Owen and Oliver into a club and some coaching as all three of my children love the game! 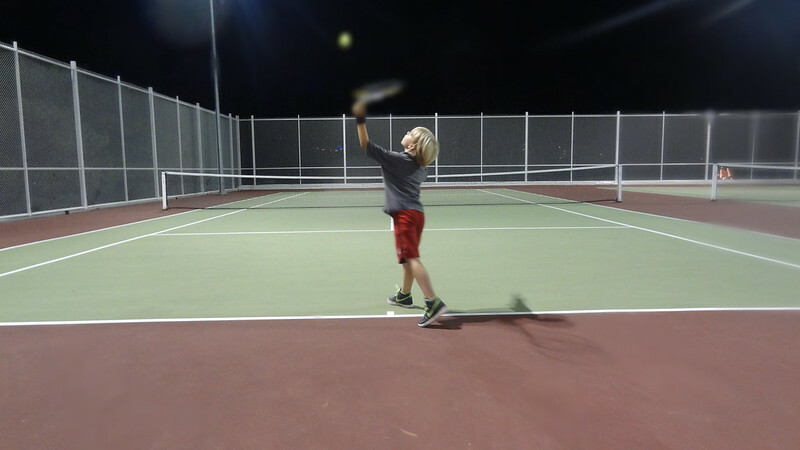 Owen and I actually played our first set of tennis on the big courts, I won 6-1. I need to savor this victory as soon enough, the boys will be beating me on a regular basis. We have been following closely the Wimbledon Championships. Too bad Nole lost to Federer in the semifinals. We are cheering for Andy Murray to be the first UK citizen to win since 1936 in today’s final.